Will there be a National Football League presence in Australia? The league doesn’t think it is a good fit. Australia is just too far away for the league to stage a regular season game. 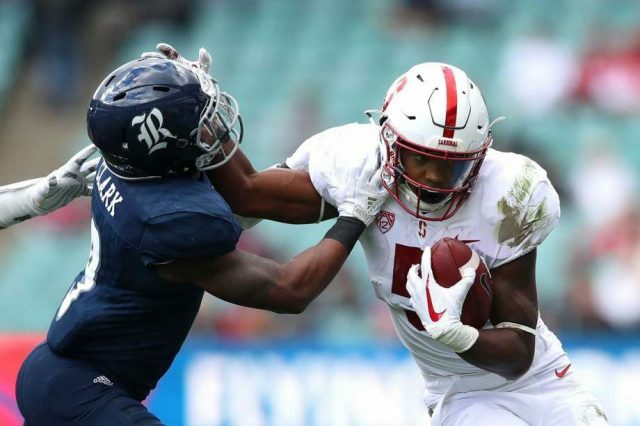 American college football did well in Sydney over the past weekend when Stanford and Rice played a game with more than 61,000 people in the stadium. The NFL has not been seen in Australia in the 21st century. The last pre-season game in the country was played in Sydney in 1999. Mark Waller, the NFL’s point man in arranging international games told Australian media that “the likelihood of us playing a regular season game in Australia is almost non-existent.” Waller also threw cold water on a suggestion that Sydney could host a pre-season game and inadvertently stated a truth about the NFL. But NFL owners sing a far different tune in the United States when it comes to pre-season games. NFL owners sell luxury boxes, club seats and regular tickets along with charging big prices for concessions and parking for meaningless pre-season contests at regular season prices. The NFL scheduled just one game in an outside market that was a Hall of Fame Game in Canton, Ohio which is near Cleveland. The NFL has regular four games in London on the schedule as well as a game in Mexico City. The NFL thinks the league is catching on in London. But that might not be entirely true. Previous articleArmour: If Football Didn’t Exist, Would Your Life be Better or Worse?